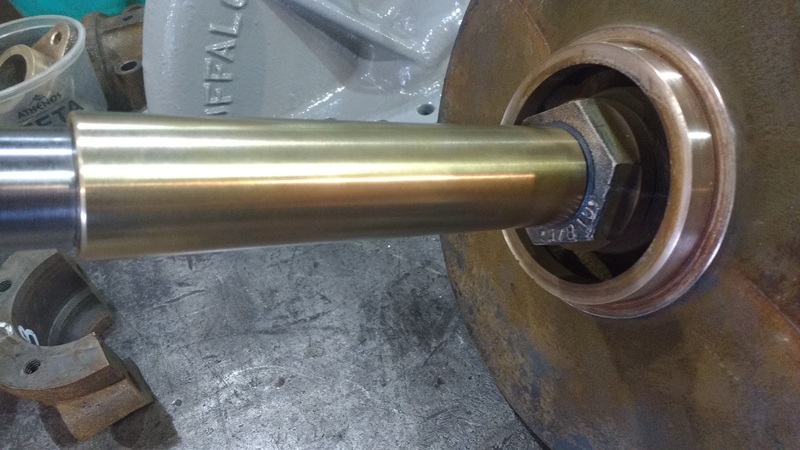 End result of a repair on a badly worn drive shaft. 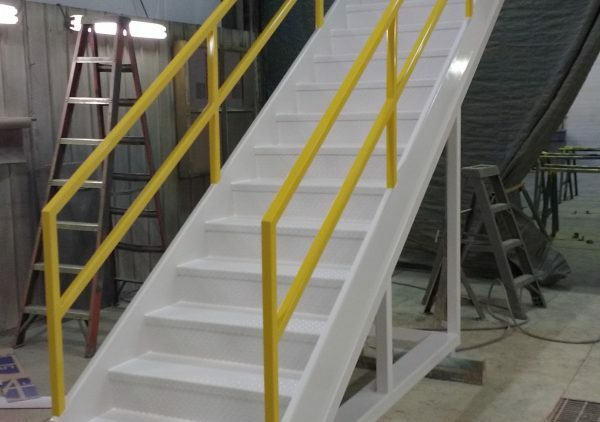 Staircase designed to be moved via fork truck. 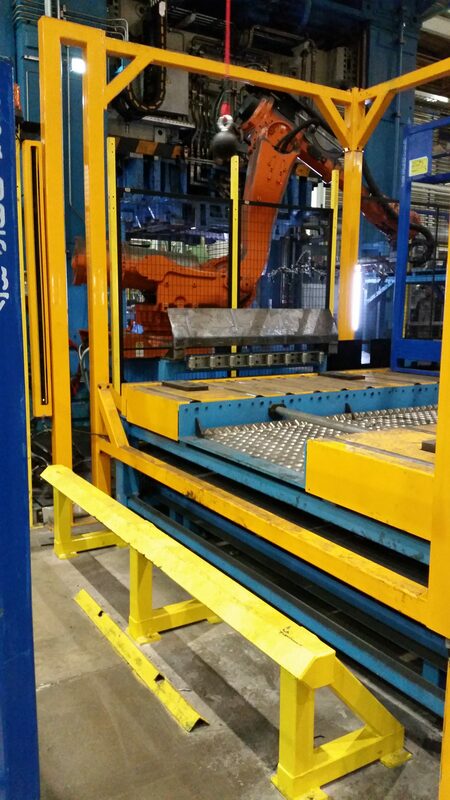 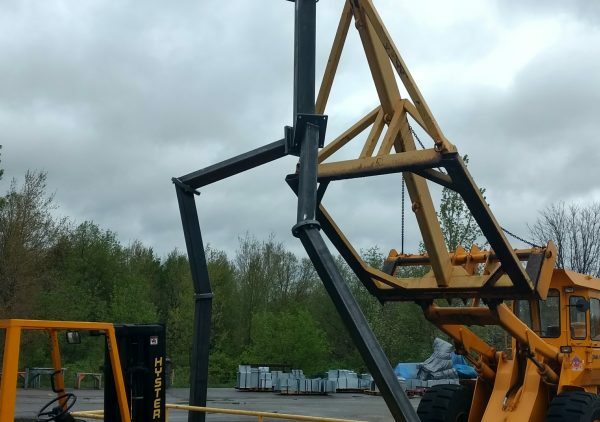 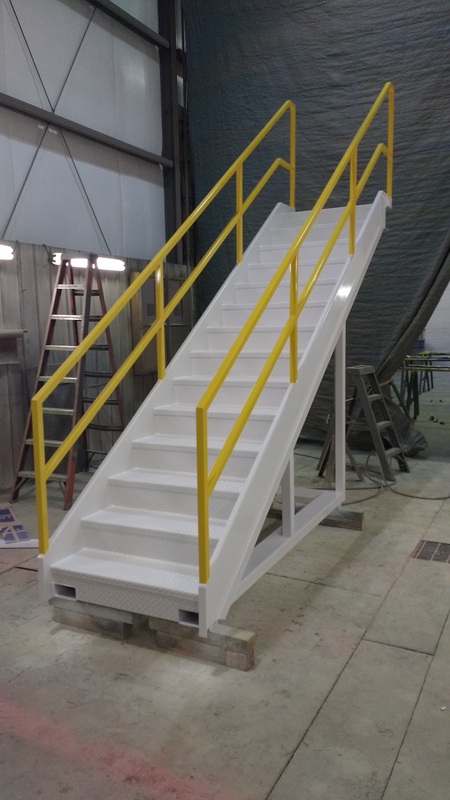 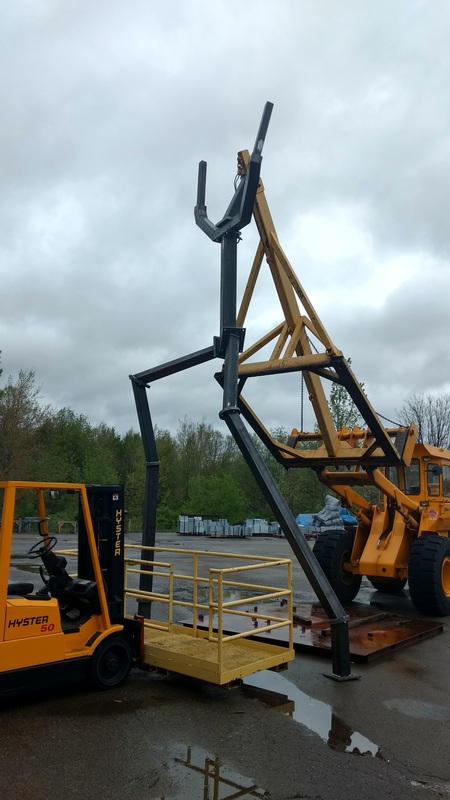 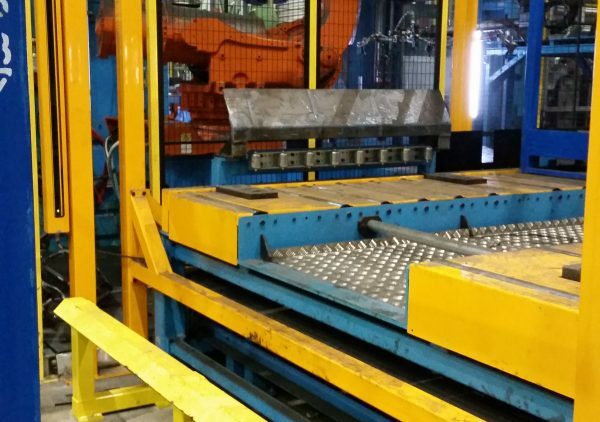 Custom designed bumpers and heavy duty steel locating rails to aid operators in loading large baskets onto an automation line. 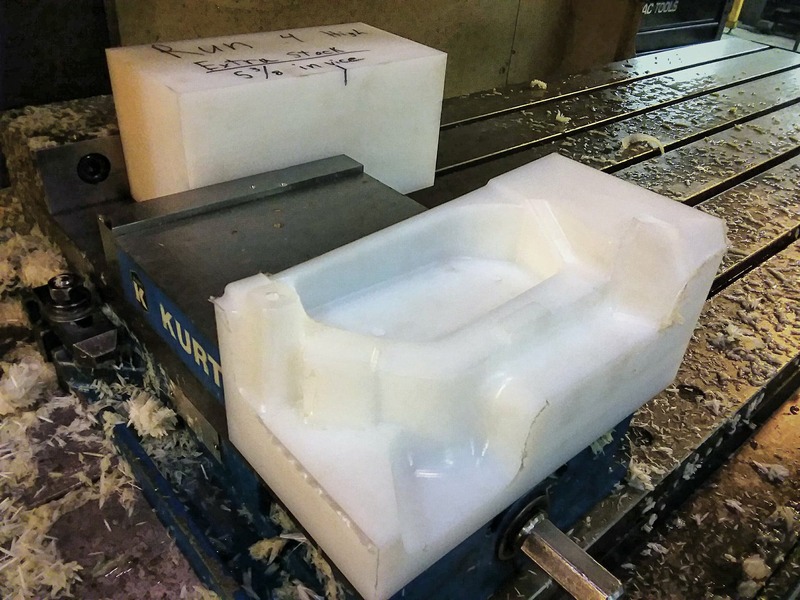 This framework for an uncompleted sculpture now proudly stands finished in a hotel courtyard in San Francisco. 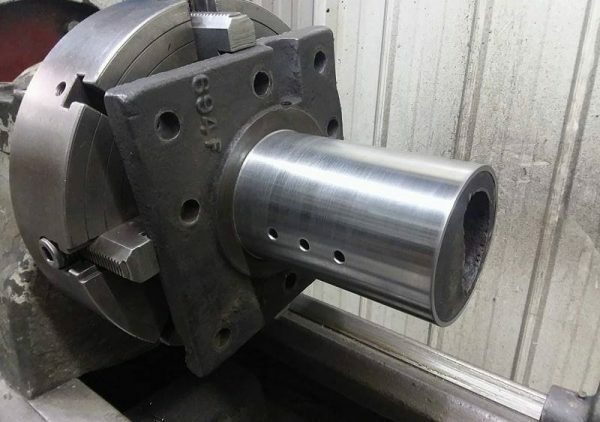 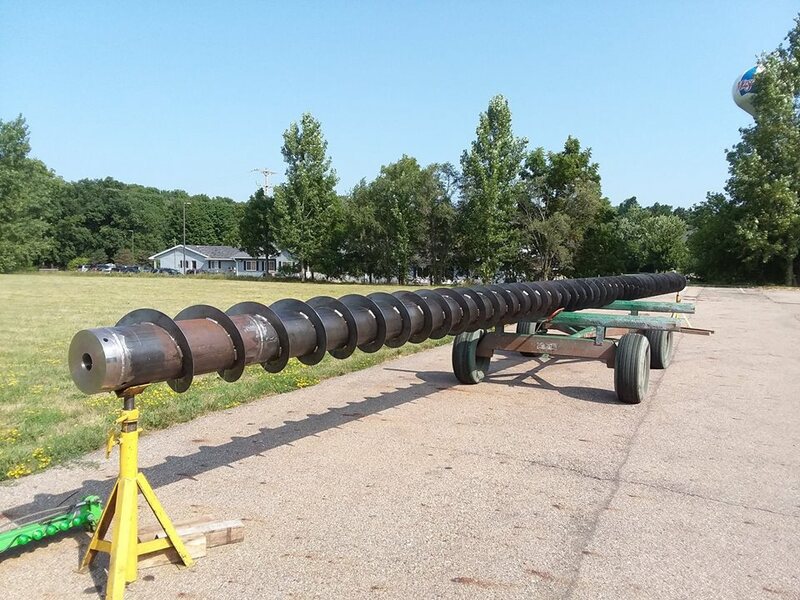 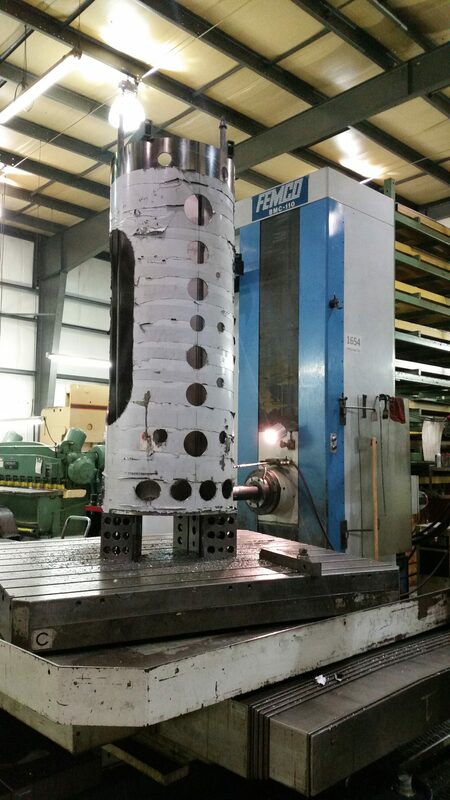 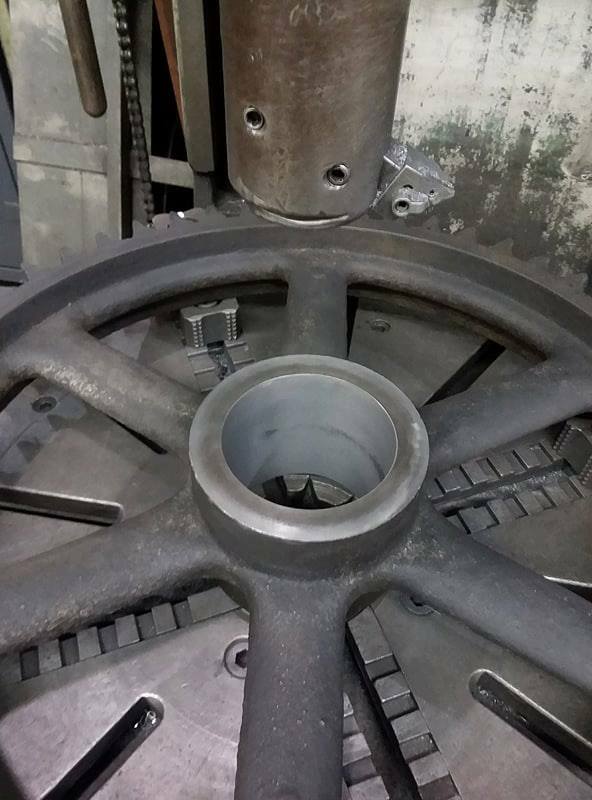 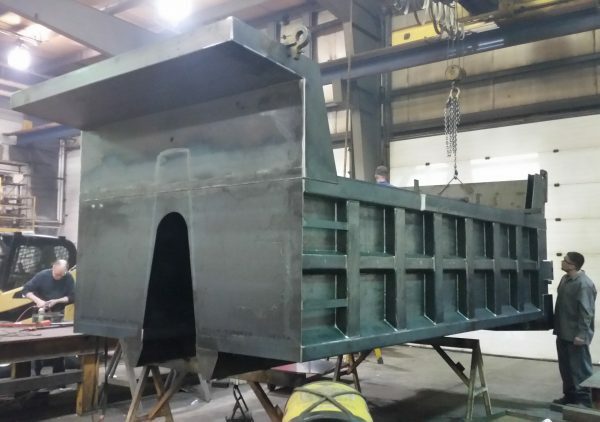 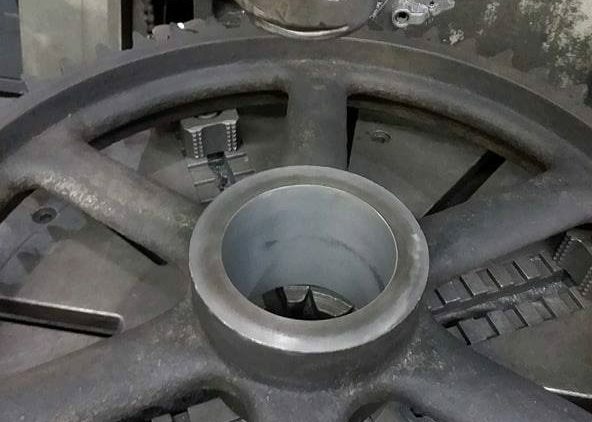 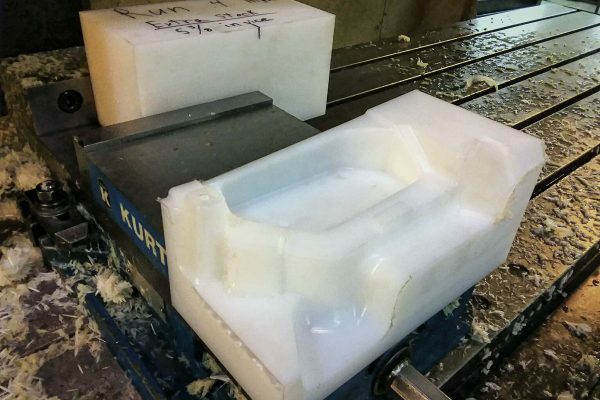 Our Femco boring mill allows us to machine very large, heavy, and oddly shaped parts. 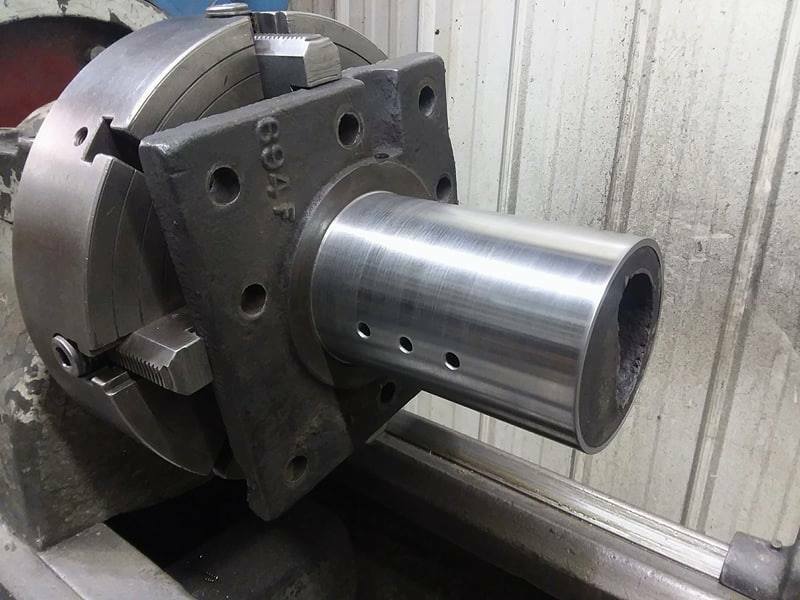 A newly machined piece to replace its worn predecessor. 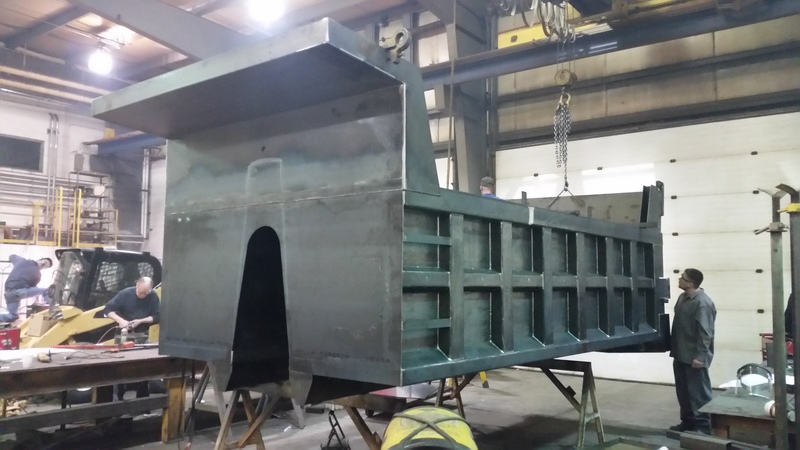 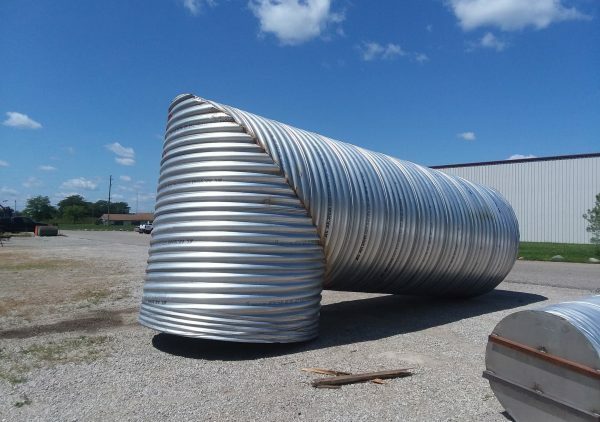 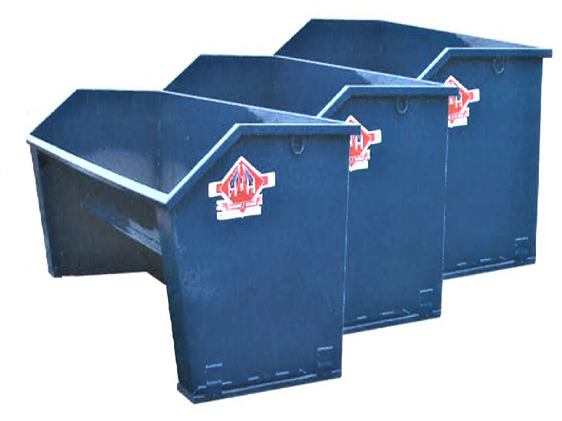 Built to customer specs, we fabricated every inch of this dump box from scratch at our shop. 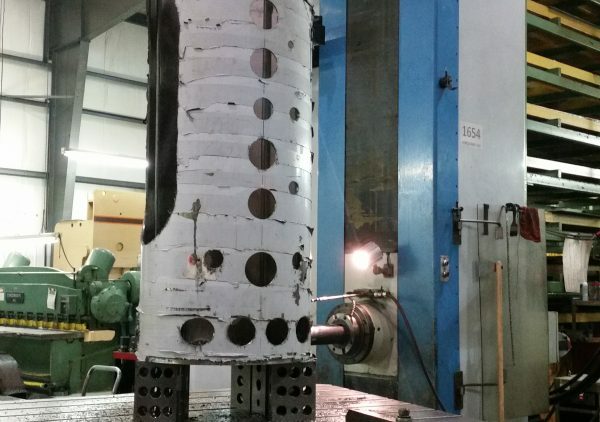 We can machine all types of materials such as Plastic, Inconel, Nylatron, G-10, Manganese, Polyurethane, Fiberglass, etc. 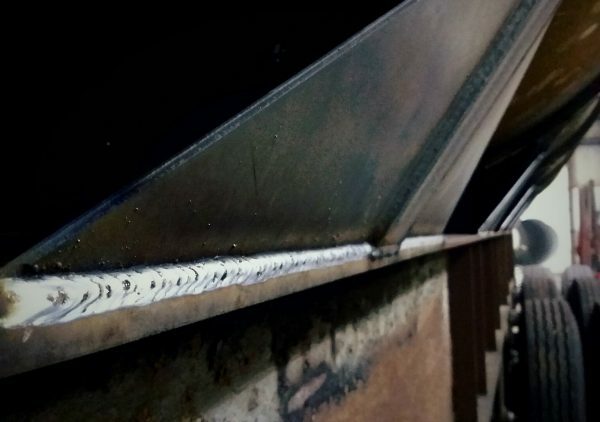 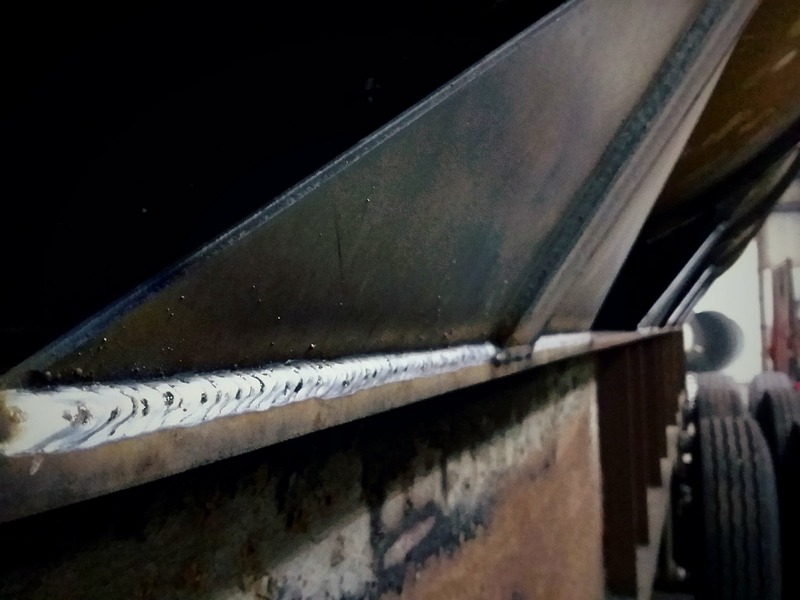 No weld leaves our shop until it’s been thoroughly quality inspected. 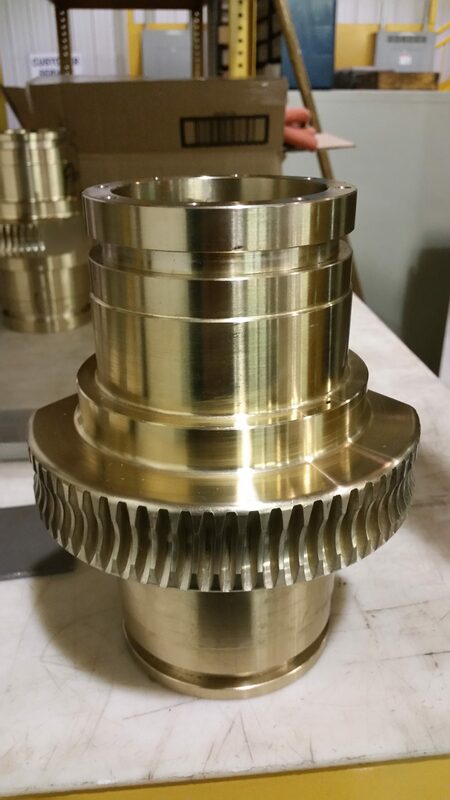 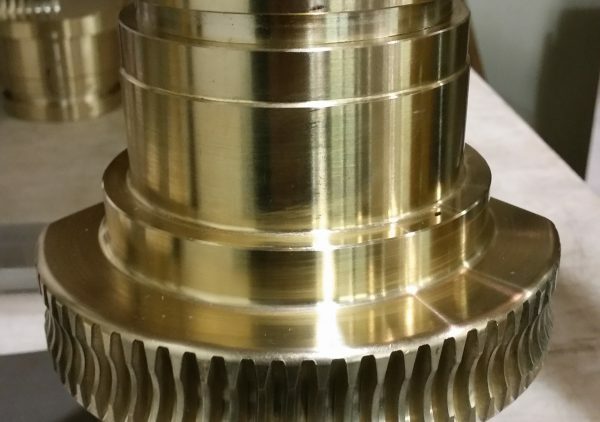 1913 Advance steam engine intermediate gear bore machined to fit new stub shaft sleeve. 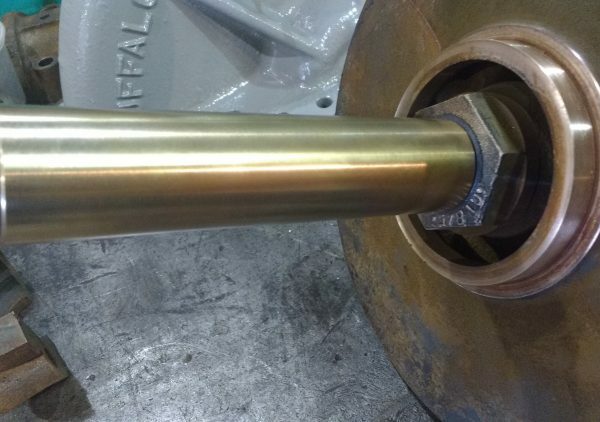 1913 Advance steam engine stub shaft with freshly machined sleeve.